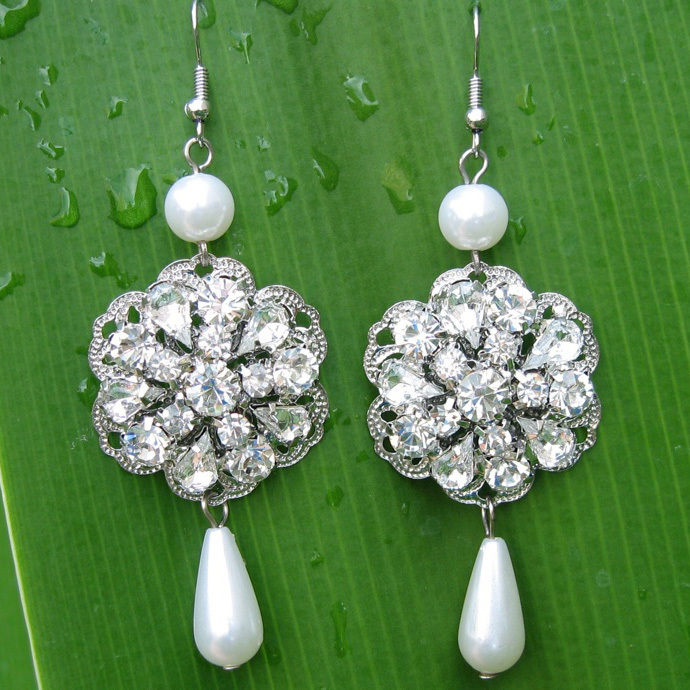 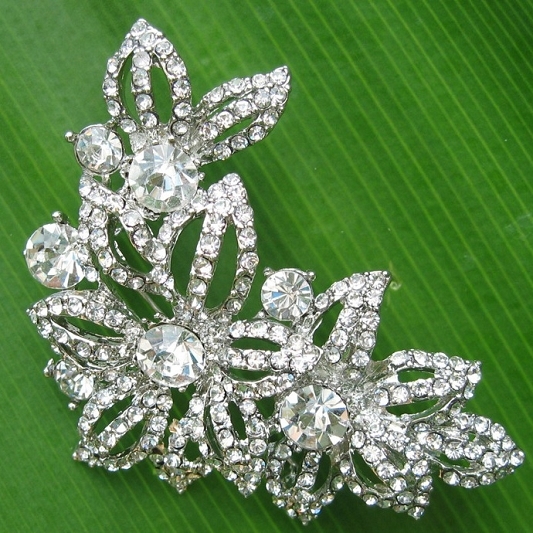 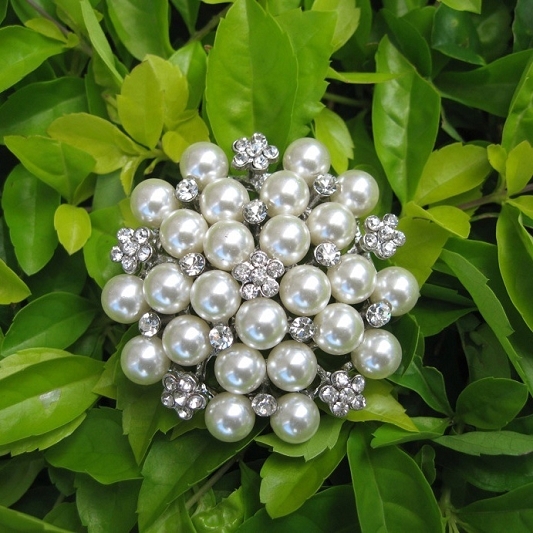 Beautiful rhinestone earrings made of lots of sparkling rhinestones and lustrous faux pearls. 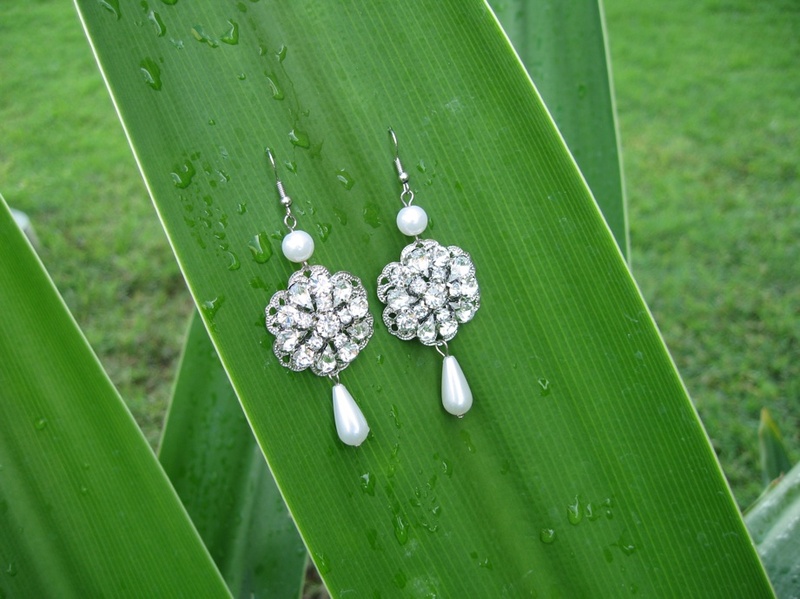 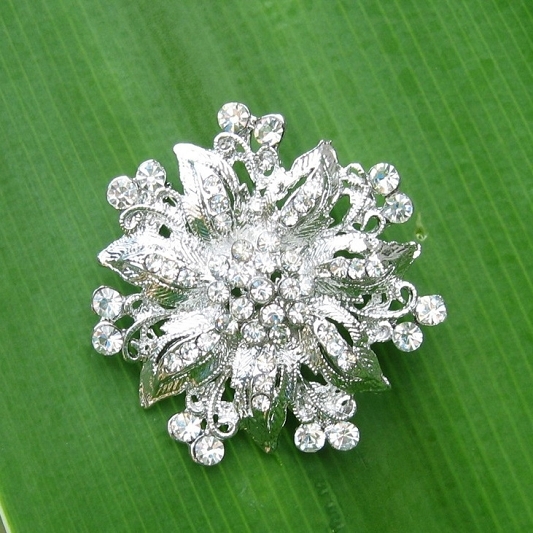 The earrings are in Silver tone and based on filigree. 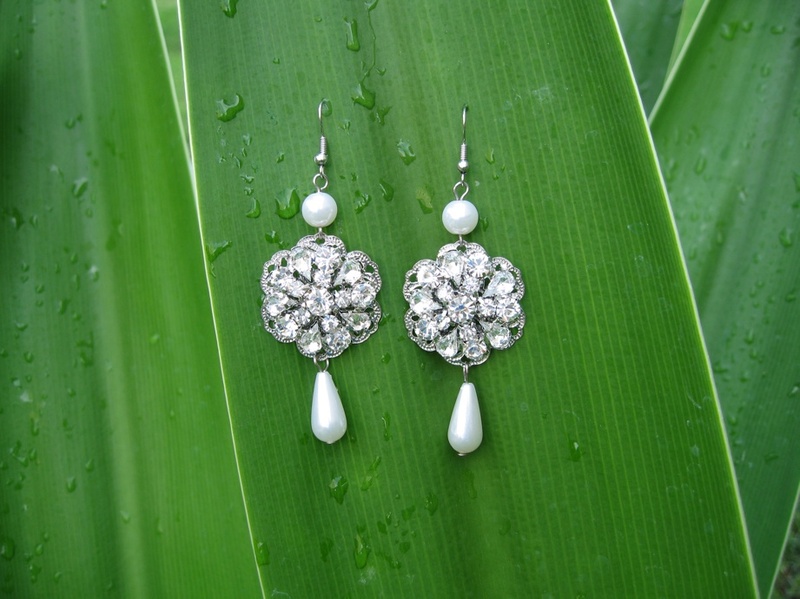 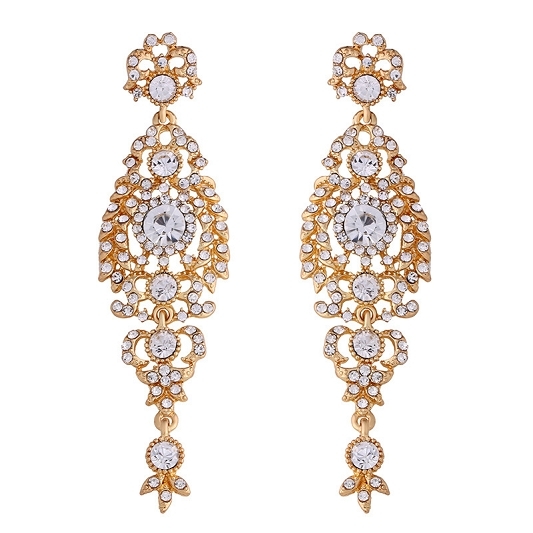 They are the perfect earrings for your special day.